HCG sublingual drops are administered under your tongue for weight loss. While using the HCG drops, a very low calorie diet consisting of 500 calories per day must be followed to achieve optimum results. There are some side effects of using the HCG drops for weight loss; therefore it is strongly recommended that you consult with your physician before using the drops to lose weight. HCG is short for human chorionic gonadotropin; the hormone produced by the placenta in the early stages of pregnancy. During pregnancy, this hormone secretes progestin and estrogen and helps protect the corpus luteum. In addition, HCG plays a role in the development of a healthy placenta. These HCG levels rise drastically in the first stages of pregnancy and then begin to lower during the latter stages. The HCG sublingual drops are a painless alternative to the HCG injections. HCG drops are also called homeopathy drops. These drops are manufactured by using HCG in its full strength and diluting it with other ingredients such as USP alcohol so that it may be administered under your tongue. The drops are left under your tongue for several seconds to allow the HCG to absorb. If the mixture is swallowed, the drops would be ineffective as the acid in your stomach would destroy the potency. While you are using the HCG drops for weight loss, consume no more than 500 calories per day. Nothing may be eaten for breakfast, only coffee or tea with no cream. Saccharin or Stevia may be used as a sweetener for your drinks. Lunch and dinner both are equally the same in portions and food choices. For example, lunch and dinner would consist of 100 g of beef, chicken or veal, one serving vegetables such as cucumbers, asparagus, tomatoes or radish and one piece of melba toast. Half of a grapefruit may be eaten as a snack later in the evening. The amount of weight lost using the HCG drops varies from person to person. The average weight loss is between 1 and 2 pounds per day. 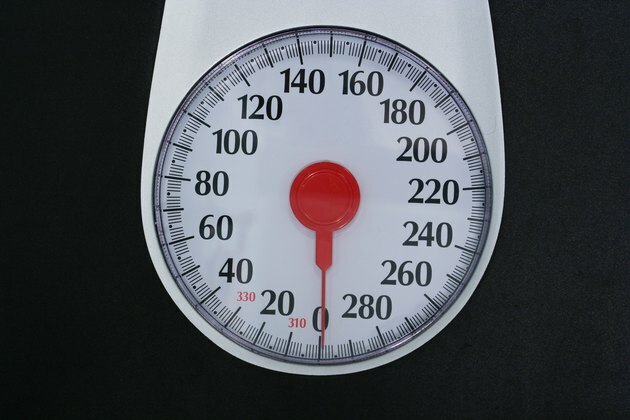 According to HCGDietinfo.com, there may be days to which no drop in weight has occurred, which may be followed by a sudden loss. These fluctuations are due to water retention and elimination. Following the low calorie diet and using the HCG drops may have its drawbacks. According to MayoClinic.com, there have been no high-quality studies done to show that HCG contributes to weight loss. In addition, MayoClinic.com suggests that developing healthy eating habits in addition to a healthy exercise regimen can contribute to permanent weight loss. MayoClinic: Does The HCG Diet Work-And Is It Safe?